Summer camp offers plenty of benefits, and many kids thrill at the idea of going away to summer camp. But for some kids, particularly those who are shy, introverted, or homebodies, the thought of going away for a night, let alone a week or more, can be cause for anxiety. For kids who are adamantly opposed, forcing summer camp on them may not be in their best interest. But for kids who are more than eager - or at the very least, willing to give it a shot without too much fuss - summer camp offers lots of opportunities that kids aren’t likely to experience at home or anywhere else. Before you begin looking into summer camps for your child, create a list of the criteria you’re looking for. What is your budget for summer camp? What is the purpose of sending your child to summer camp? Do you want a resident (overnight) or a day camp? Are you looking for a short-term or summer-long program? Do you want a camp that’s very structured or one that provides your child lots of freedom and choices? 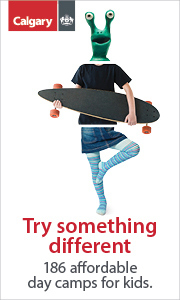 What are your child’s interests, such as a particular sport, hobby, or other interest? Once you’ve narrowed down some of the criteria, you can begin your search. 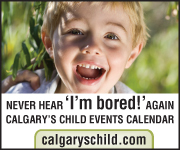 An excellent place to start is your local parenting magazine (like this one, Calgary’s Child Magazine!). 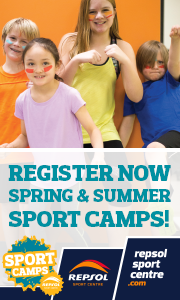 Another excellent place to look for a camp is the Alberta Camp Association (ACA) as they accredit summer camps. The ACA offers its member camps a Standards & Accreditations program, education, and resources. It then accredits camps that meet the ACA’s standards. Once you’ve selected a few summer camps that meet your primary criteria that fits your child’s interests, share the choices with your child to see what excites them. Let your child know that you still need to thoroughly investigate these camps before making a final decision. Do keep your child’s choices in mind to ensure they get the most out of their summer camp experience. Once you and your child have narrowed down the list to a manageable selection, investigate the camps further. What are the staff’s qualifications? Many summer camps use teens to staff the camps. Teens make excellent mentors and can bring liveliness to summer camp programs. However, the programs themselves should be developed by professionals and have professional oversight to ensure kids are getting the most from the camp programs. How does the camp ensure your child’s safety? Find out what kind of safety training the camp provides its staffers. Also, is there staff on hand at all times that knows CPR and First-Aid? What are the camp’s procedures in the event your child becomes ill, has an accident, or there’s an emergency? What is the daily schedule for campers? Ask the camp for a daily itinerary, so you know beforehand that your child will be getting everything you and your child anticipate from the program. What are the rules? Each camp has its own set of rules. If it’s a summer-long residential camp, can parents come and visit? Can your child bring a smartphone and/or other electronics to camp? How much money should your child bring, and how is your child’s money managed? Keep in mind, although there are many great camps out there, probably no camp is going to offer everything exactly the way you want it. Choose the camp that best fits your child’s needs and satisfies your most important criteria. Remember, your child has many summers ahead of them and plenty of opportunity to experience new things at camp in years to come. Kimberly is the author of a kid’s STEM book, Horoscopes: Reality or Trickery? She also writes a blog, Modern FamilyStyle, at modernfamilystyle.com.